The GBAGLSF has stocked fish since 1994. We started with a portable hatchery to hatch walleye fry. 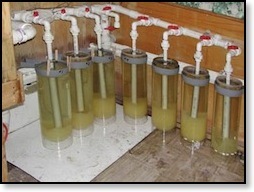 This project ran for 11 years with millions of fry released into the Bay of Green Bay. The last two years the WDNR raised the fry to fingerling size and stocked in the Sturgeon Bay area. This project was halted due to VHS concerns and permits. 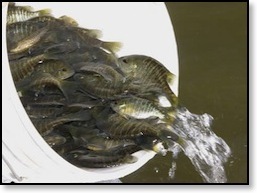 The club has also stocked natural Bluegills into the Bay. More then 32,000 fish have been stocked. 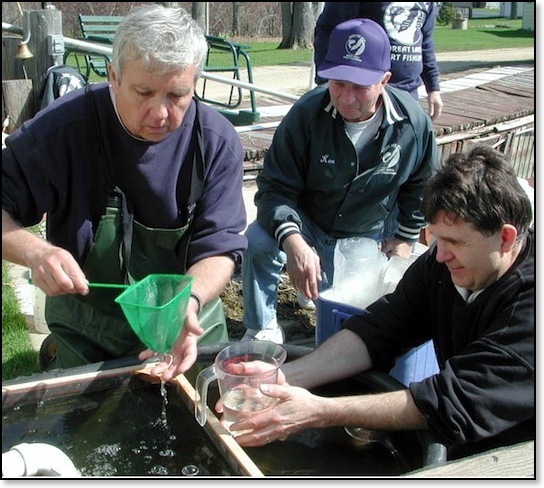 Currently the club is stocking fish at the Botanical Gardens in Green Bay.